Tymon Mellor was a colleague of the letter writer, Bob Coates. He wrote to Mr Coates asking if he could supply further information. 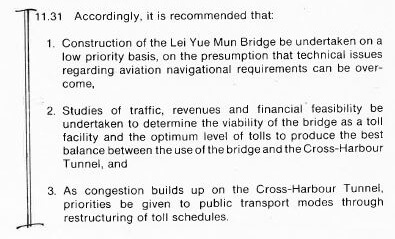 He sent this extract from a 1976 HK Comprehensive Transport Study, p390. Tymon adds, there must be more details buried in the old reports. 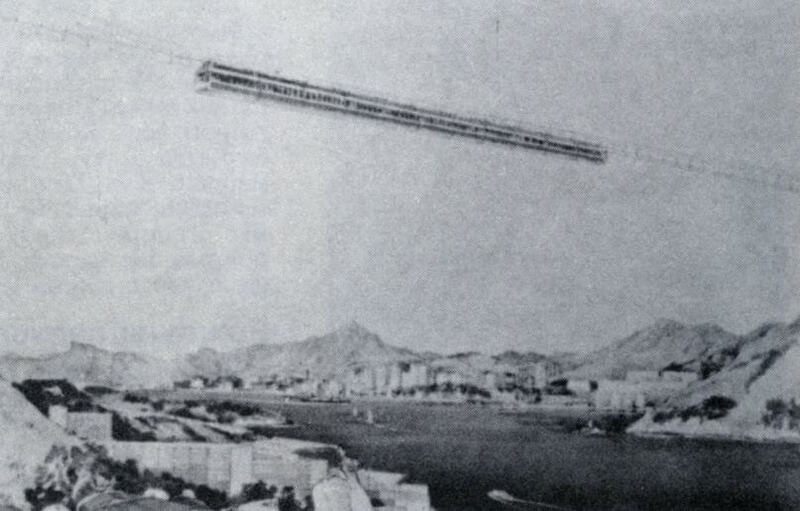 And IDJ has come with this image, not a bridge but a suspended train from the imagination of Aerometro Ltd.
A flight of fancy indeed – 哎吔! As IDJ says, In the 1970s there was a huge number of proposals made for infrastructure and transport solutions. This article was first posted on 20th February 2016.